A group of local women have joined together and launched a Facebook page to help to try and raise enough funds to build a Baby Loss Awareness memorial tree that all parents from across that region that have suffered the loss of a baby can use. 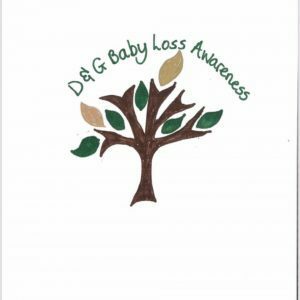 Becky Little from the group contacted DGWGO and said “We are a group of locals who have started fundraising for a Baby Loss Awareness Memorial Tree within Dumfries & Galloway. 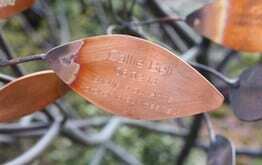 The SiMBA Trees of Tranquillity are stunning hand crafted, life sized sculptures, made from copper, where each leaf on the tree represents a baby who has died. The Tree’s design is unique to SiMBA, and is adorned with individual leaves, each engraved with a personal message. Its aim is to offer bereaved parents the opportunity to honour their baby in a simple, quiet way and will effectively ‘grow’ as leaves are added. The Tree of Tranquillity is not just for the newly bereaved but also parents who sadly lost their baby years ago and were perhaps provided with little or no recognition of their baby’s existence. The Tree will provide the means to express a private and public declaration in memory of the lost hopes and dreams for the baby. It is a beautiful symbol of remembrance. One of SiMBA’s aims is to have a Tree of Tranquillity in every maternity district so that anyone who has ever suffered the loss of a baby has an opportunity to attach their leaf to a Tree close to their home. Becky Continued “We need to raise a total of £18,000 which will be donated to SIMBA who will provide the tree, the leaves for the parents and then provide regular maintenance for the tree itself. We are also in talks with the local SANDS group in the hope we can also raise funds for benches for parents/families around the tree. We hope that on advertising our campaign that others will get on board with fundraising and support such a fantastic cause.